Hope everyone had a great week! I got some exciting news this week, the Skinnytaste Fast and Slow Cookbook was nominated for a James Beard Award in the category of Book/Health. This was so unexpected, I’m so humbled and grateful! Heather Christo and Ellie Krieger were also nominated, and since I love Heather’s recipe for Rosemary Chicken Salad with Avocado and Bacon I’ve added that to this week’s meal plan along with a few favorites. Gina- I found this website just a couple of months ago when searching for healthy meal plan ideas. I just want to say thank you for your meal plans and healthy ideas found on this website. It’s been a blessing to my family and I’ve started telling all my family and friends about you. Meal planning is overwhelming and other services provide a meal for every day of the week which is too frequent. Your healthy recommendations for 5-6 nights per week helps me be intentional with my spending and provide healthy options for my family. Thank you! Wanted to point out the good you are doing. Thank you Jessi, that means a lot to me! I am thankful I get to do what I love! I just got the cookbook in today’s mail and cannot wait to peruse it and plan some meals. It’s beautifully laid out and the recipes look great. I’m so happy it was nominated for an award. Congratulations! 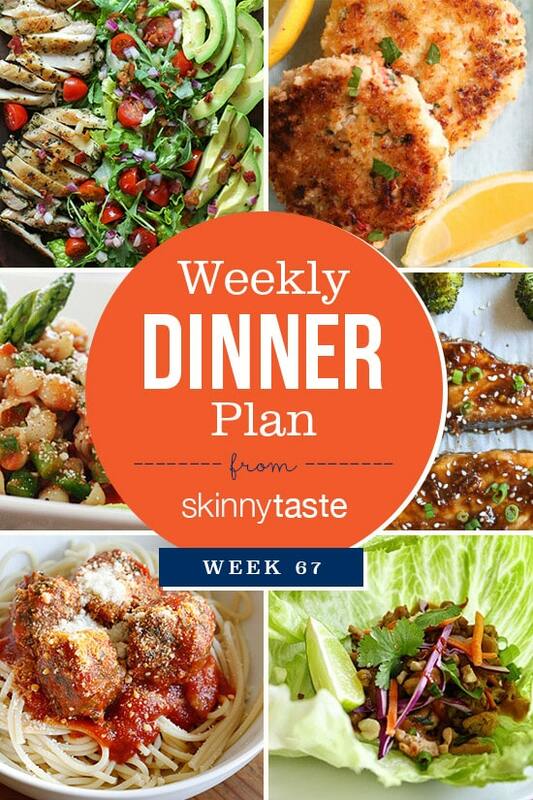 I bought the skinnytaste meal planner and I love it!!! 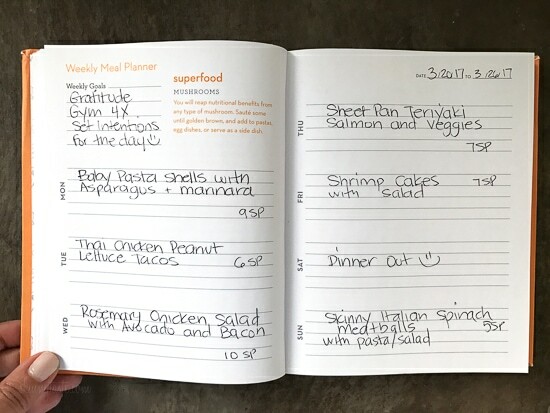 It really makes a difference when you plan out your meals and this is the perfect planner. I love the cookbook and I’m a huge fan of your blog….so so many great recipes!! Congrats on the award nomination! Congratulations! It’s an honor just to be nominated and you so deserve it. Your site is the first place I come and I have never been disappointed. Oh my goodness Gina! Congratulations on the James Beard nomination! You are so legit! I have been a faithful follower and admirer of yours for years and know first hand how homey, nutritious and delicious your food is. It is so evident that you pour your heart and soul into what you do! Congratulations and fingers crossed for you!